A fortnight full of art: The Bloop Festival is back! From 23rd August until 8th September, the Bloop International Proactive Art Festival will fill Ibiza’s streets with exhibitions, interactive installations, sculptures, photos, urban art, video mapping and video art, among other forms of art. The ideal excuse to infuse your stay at Ibiza Sun Apartments with an interesting cultural and leisure experience. WHAT IS BLOOP FESTIVAL IBIZA? The Bloop Festival is a multidisciplinary event that combines art and innovation and focuses on proactive art. This year, the main subject is “Hope”. This festival comes back to the city of Ibiza for the second time and takes place at different spots in the city, especially at the Ibiza harbour. All activities are free in line with the festival’s philosophy: “art is for everyone”. The purpose is to make the audience think about social matters through art that is surprising and understood by all. The main event of this Festival is the OpenAir.Gallery where visitors can see how artists create their urban art at different spots in the city. So far, this event has left 30 murals and large-format installations across Sant Antoni de Portmany, the city of Ibiza and other spots on the island and there are more to come in the next few weeks. 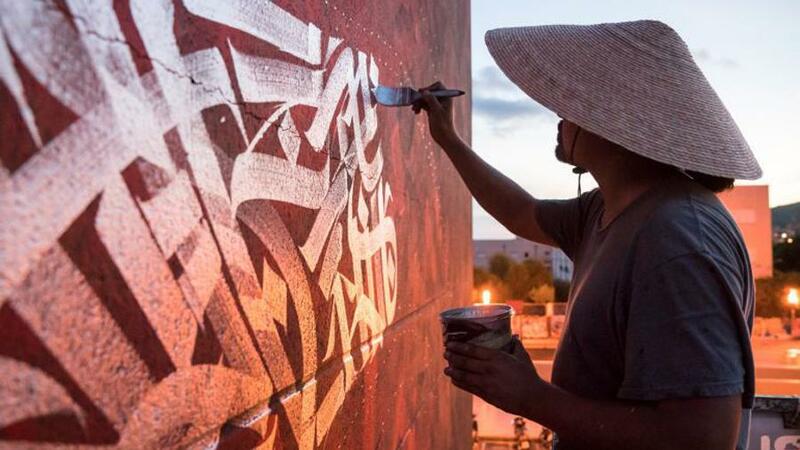 Among other urban artists taking part this year, the event will be welcoming SpY, Said Dokins, INO, Spaik and Silva Ramacci. Also, Lo Spino will bring video installations, K24 will link 3D images to the sounds of Tranz Lasagne in the harbour of Ibiza and Amadama will set up an interactive installation. These are only a few of the creative proposals. You can check the detailed programme for the event on the Bloop Festival website. 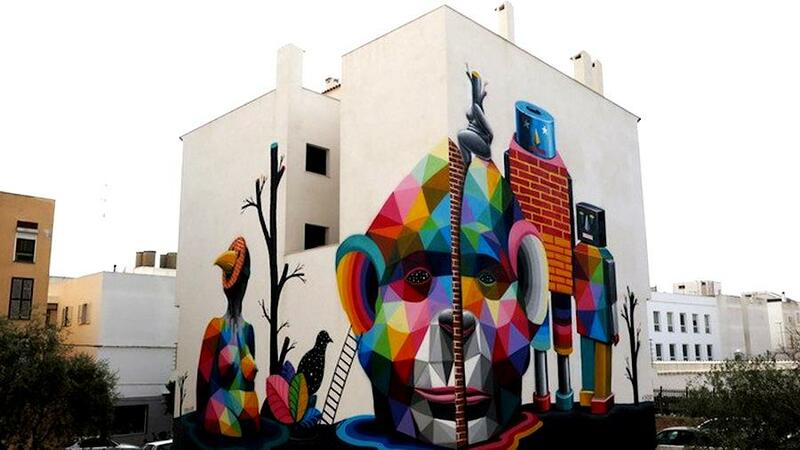 Okuda is one of the urban artist who participed in the past edition. The Ibiza Sun Apartments Suites are on Playa d’en Bossa beach, only a short drive or bus ride away from the streets that host the Bloop Festival. The ideal place to combine beach and food with state-of-the-art cultural events that will take place in Ibiza from 23rd August until 8th September. Don´t miss our two special offers for early birds for summer 2019, made specially for our most forward-looking guests.